Prepare yourselves to witness a hunt and solve some mystery with the two latest movie features of SM Cinema, The Predator and A Simple Favor. 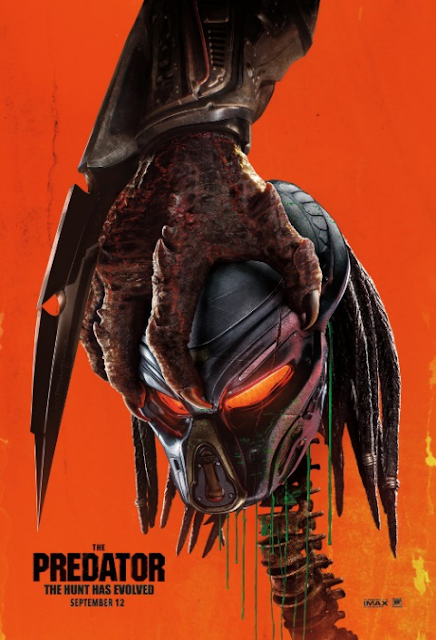 From the bloody R-Rated franchise, The Predator brings the universe’s most lethal hunters back on Earth. Set in a small town, a youngboy accidentally triggers a signal that called the Predators and landed on their area. Now, a group of ex-soldiers and a science teacher will have to face the Predators, who evolved and became stronger, smarter and deadlier after they upgraded their DNA with other alien species. The Predator, directed and co-written by Shane Black, features lead actors Olivia Munn, Boyd Holbrook, Trevante Rhodes, Jacob Tremblay, Keegan-Michael Key and Sterling K. Brown. Another R-Rated film, A Simple Favor will go through solving the mystery behind the disappearance of a woman with dark secrets. Originally a novel by Darcey Bell, A Simple Favor will follow the life of Stephanie Smothers (Anna Kendrick), a mommy vlogger, as she met an ultra-glamorous mom, Emily Nelson (Blake Lively), and how they became friends. Directed by Paul Feig, A Simple Favor is a stylish thriller filled with twists and betrayals, secrets and revelations, love and loyalty, murder and revenge. Experience the thrill of The Predator in IMAX and SM Cinema branch near you and solve the mystery of A Simple Favor in Director’s Club and SM Cinema branches nationwide starting September 12. Book your tickets through the website, www.smcinema.com or download the SM Cinema mobile app. You may also follow /SMCinema on Facebook and @SM_Cinema on Instagram for updates.